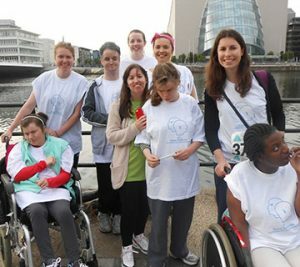 We want to see a society where all people are given an equal opportunity to participate fully and equally in society in line with the commitments set down in the United Nations Convention on the Rights of People with Disabilities alongside the United Nations Convention on the Rights of the Child. We continue Anne Sullivan’s legacy by empowering people who are deafblind to pursue meaningful, active and fulfilling lives. We do this by providing care, advocacy and support services in partnership with people who are deafblind, their families, statutory and non-statutory organisations and local communities. A national service provider growing our network of supports and services and recognized as a centre of Excellence. We work as part of a team; always challenging ourselves to do better and measure our performance.